This Mainstays Glass Blocks Shower Curtain features dimensional embossing that gives it the look of glass! The curtain can be easily wiped clean, allowing easy maintenance. This Peva Shower Curtain contains 100 percent chloride free PEVA, making it safe to use in your house. The wipe clean shower curtain is functional and practical. It contains no harmful chlorides compared to other traditional curtains. 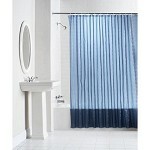 The designer shower curtain allows sufficient light into the shower area while maintaining privacy. Its unique design allows you to hang your shower curtain without removing your shower rod. 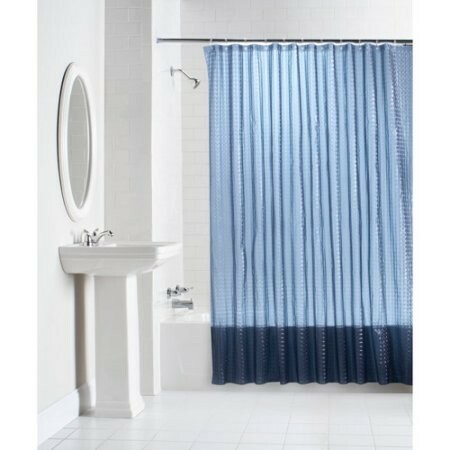 Use the Mainstays shower curtain to keep your shower water within the shower tub and off the bathroom floor!